Bankruptcy Information | What Do I Do If…I’m Facing Foreclosure? 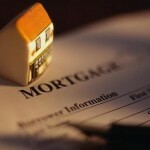 What Do I Do If…I’m Facing Foreclosure? Home > Bankruptcy Basics > What Do I Do If…I’m Facing Foreclosure? 20 Mar What Do I Do If…I’m Facing Foreclosure? You’ve gotten the letter from your mortgage company. It’s threatening foreclosure. What do you do? The first thing notto do is to ignore it. Putting your head in the sand won’t make the problem go away, and can result in your losing your home. Typically, mortgage companies spend a fair amount of time “leading up” to actual foreclosure. You will get a number of letters and lots of phone calls before anything actually happens. And these days, most lenders are more than willing to work with you. Restructuring your loan, deferrals, and plans to catch up your payments are all possibilities. Things change when you get a letter from a lawyer. This doesn’t mean that your home is lost, it just means that the time is shortening. Every state has different foreclosure laws and different time frames. Some can stretch out the process for months, while others (such as my state of Maryland) allow foreclosures as soon as 45 days after the first notice. When you get a letter from a lawyer, you still have the same options you had with your mortgage company, but you need to move more quickly. Chapter 13 bankruptcy may be an option to give yourself 5 years to catch up the arrearages. Even after the foreclosure, you may still be able to save your home. Some states allow you to “redeem” the property after foreclosure; others (such as Maryland) do not. Check with your lawyer as soon as you can to find out what your options are.